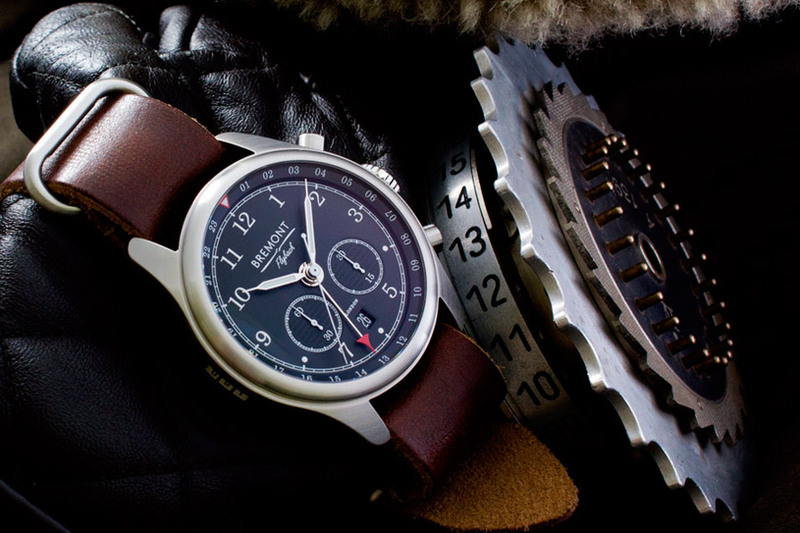 British watch manufacturer Bremont might not be the best known brand to those who move outside of the somewhat cliquey horological circles, but it has been steadily making a name for itself over the last twelve years or so by making solid, durable pilot watches for adventurers, military aviators, as well for as the occasional movie star. Not only do Bremont produce high-quality, luxury timepieces of a standard that has seen them winning Luxury Watch Brand of the Year at the UK Jewellery Awards for the last three consecutive years, but they also make watches that are extremely resilient and durable and made to withstand the most rigorous of conditions. Their slogan,“Tested Beyond Endurance”, is quite a claim. 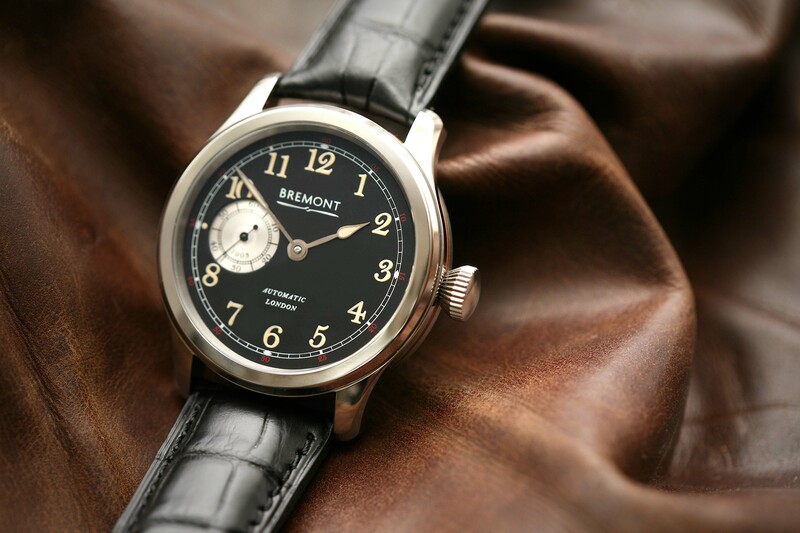 However, considering that the stainless steel case of each Bremont wristwatch is made to an exceptional hardness of 2000 Vickers (seven times that of an average stainless steel watchcase), the convex sapphire crystal has nine layers of antireflective coating applied to both sides of the glass for increased legibility, and that all of Bremont’s watches in their classic range are COSC-certified (a rigorous certification process by the Contrôle Officiel Suisse des Chronomètres that takes15 days to complete), it is a claim Bremont are more than able to back up . 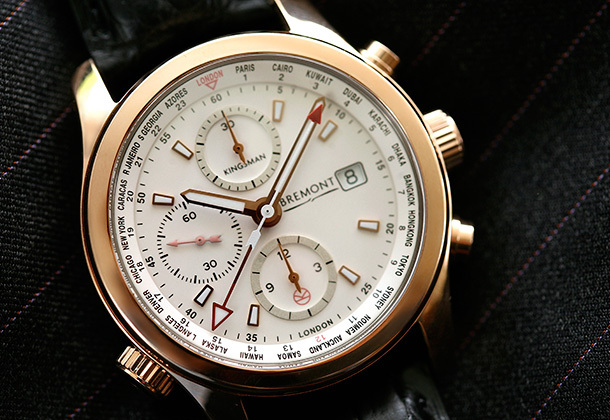 Bremont are also decidedly British and are one of the key players in the British watch-making revival. Founders Giles and Nick English are proud of Great Britain’s role in the history of horology and have striven to make as much of Bremont’s manufacture as wholly a British enterprise as possible. Already, all Bremont watches are designed, assembled and finished in England, with many bespoke parts being produced in the UK. 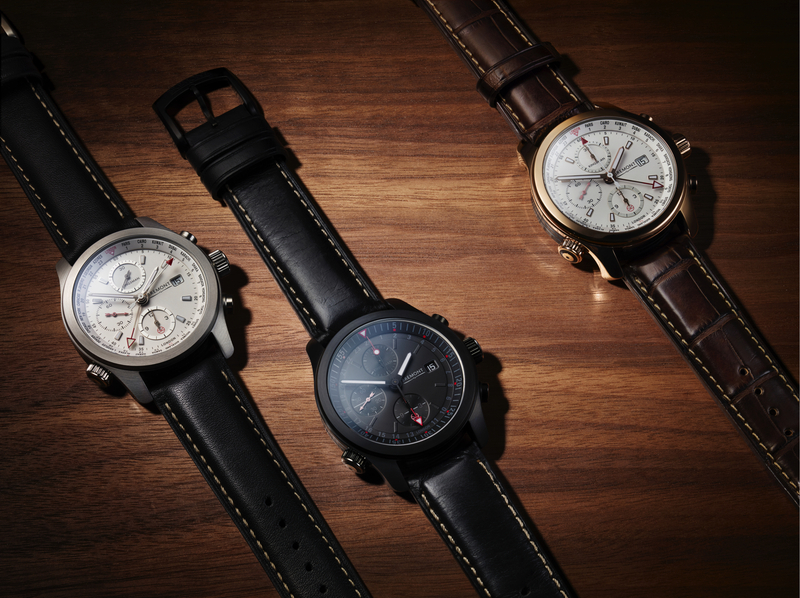 The company also has a dedicated military wing, Bremont Military, creating limited edition timepieces that are available exclusively to specific branches of the military and armed services. For instance, Bremont have created wristwatches for the Royal Marine Commandos, the Royal Navy Submarine Service, and the US Navy Test Pilot School, amongst many others. 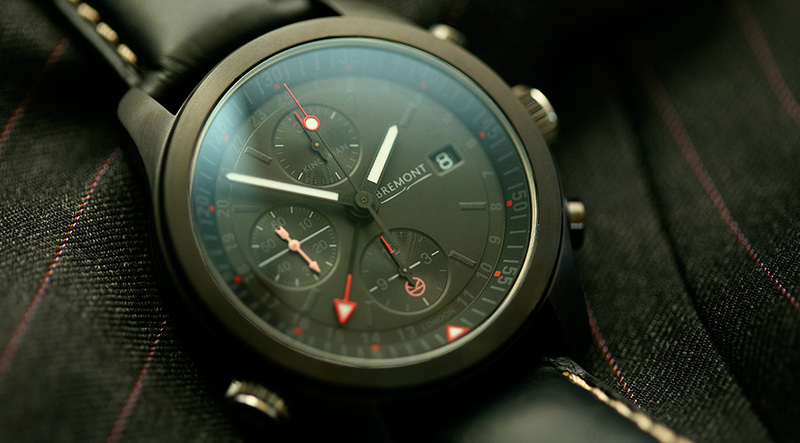 On top of this, Bremont also produce a number of limited edition wristwatches that have some rather unique facets. For instance, the Codebreaker Chronograph contains a piece of Bletchley Park’s Hut 6, the room in which the German Wehrmacht and Luftwaffe Enigma ciphers were decrypted. Then there’s the Wright Flyer, which contains an actual fragment of muslin that was used to cover Orville and Wilbur Wright’s historic aircraft, the 1903 Wright Flyer. 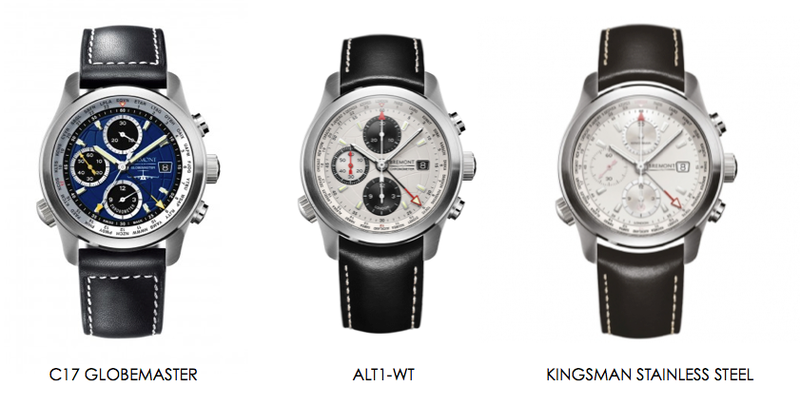 Other limited editions have seen Bremont partner with iconic British brands such as Jaguar, Norton, and Chivas Regal. In a nutshell, Bremont are a British brand who creates luxurious, incredibly durable timepieces, with strong military connections, and an occasional nod to the unusual. 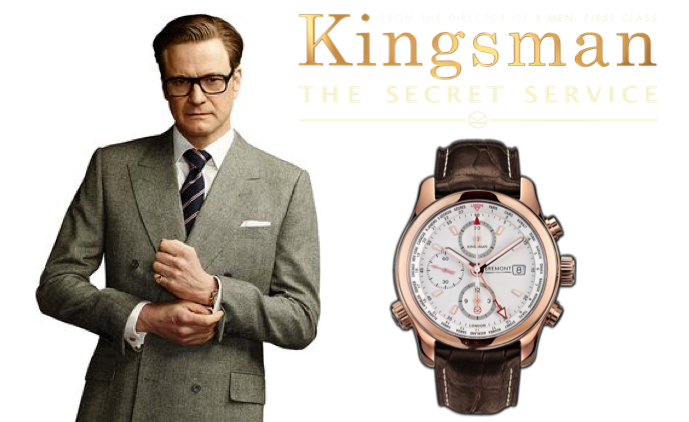 So, when the film’s director Matthew Vaughn was looking for a wristwatch with which to supply the Savile Row-based elite British gentleman spies in Kingsman: The Secret Service, it is little surprise that he turned to Bremont to create them. The result is the Kingsman Special Editions, consisting of the Rose Gold, Stainless Steel, and DLC models. Both the Rose Gold and the Stainless Steel editions are rather beautiful variations on Bremont’s existing ALT1-WT – a watch that itself is based on the military exclusive C17 Globemaster. The over-engineered Globemaster had many horologists drooling, but seeing as the criteria for owning one was piloting a military Boeing C-17 Globemaster, the majority of them were left wanting. However, such was the demand that Bremont released the ALT1-WT, essentially the civilian model of the Globemaster. So, the Kingsman Special Editions aren’t just beautiful-looking wristwatches hastily put together to fit into the film. They have real Bremont pedigree and retain all the complications of their forbearers – functionality that would suit the Kingsmen of the film well. After all, if you’re a gentleman spy you would want a wristwatch that is going to perfectly compliment your Savile Row bespoke suit, but it wouldn’t hurt if it also had a chronograph, 24hr and World Time function, and be water resistant to 100 meters, as well. 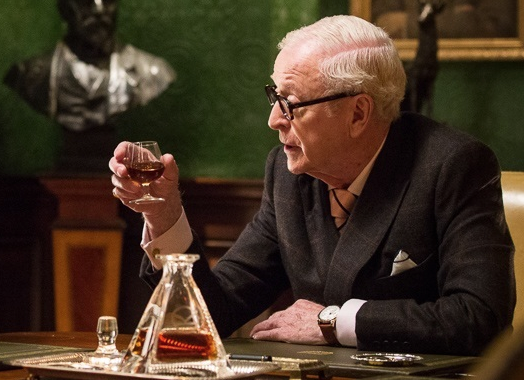 Hence the fully-fledged Kingsman of the film sport the Rose Gold Kingsman Chronograph. The Kingsman Rose Gold features a modified calibre 13 ¼” BE-54AE movement, the three part Bremont Trip-Tick® 18 carat Rose Gold case construction with a DLC treated case barrel, an internally rotating, bi-directional bezel, a white metal dial and SuperLumiNova® coated hands, and a domed anti-reflective, scratch resistant sapphire crystal. 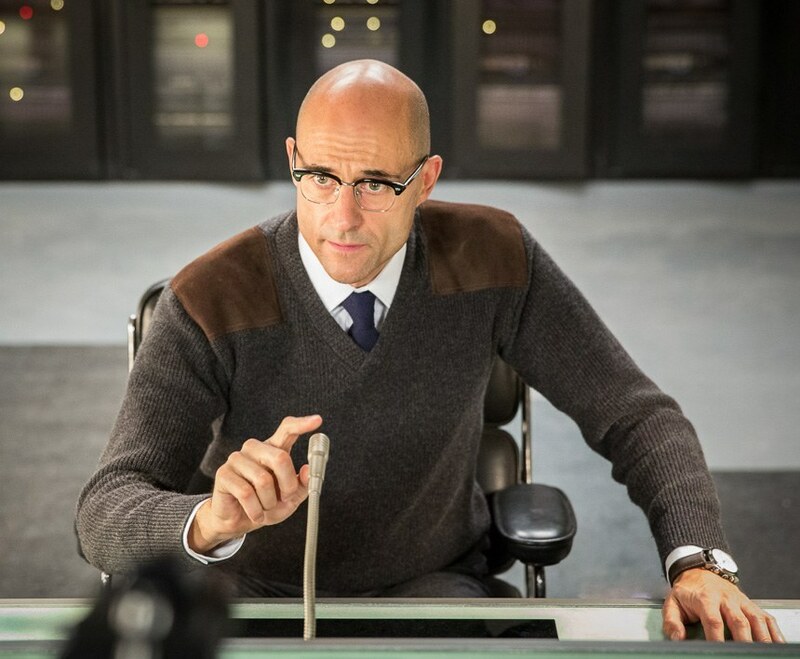 For the man in charge of training new agents, perhaps a little more wear-and-tear is expected, and so Mark Strong’s Merlin wears the Kingsman Stainless Steel Chronograph, which just so happens to match his steely gaze. This model features the same modified13 ¼” BE-54AE movement as the Rose Gold, with chronograph, 24H UTC hand and World Time Zone function, all housed in a hardened stainless steel case with Bremont’s Trip-Tick® construction. 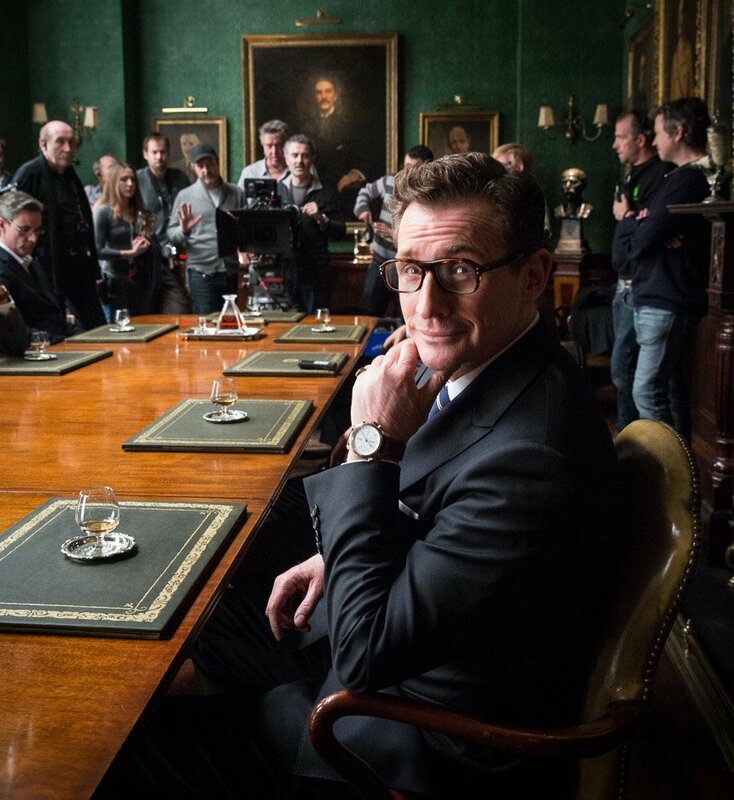 In the film, the Kingsman recruits are certainly put through their paces, and so require a durable and somewhat stealthier timepiece. The Kingsman Special Edition DLC Chronograph takes care of both of these criteria, being both black as coal and hard as nails. This Special Edition watch differs slightly from the Rose Gold and the Stainless Steel editions in that it is based on the ATLI-B Chronograph. Another civilian version of a Bremont Military watch, the ATLI-B is itself based on the Bremont B2 that was produced for the aircrew of the elite B2 Stealth Bomber, making the Kingsman DLC every bit a true Bremont as the other Kingsman Special Editions. In fact, given Bremont’s military connections and the durability of this watch, the Kingsman Special Edition DLC would not seem out of place on the wrist of a genuine Special Forces operator. The DLC features the same modified13 ¼” BE-54AE calibre and all the functionality of the other Kingsman models, apart from the World Time. The case is hardened, DLC coated stainless steel, made with Trip-Tick® construction. 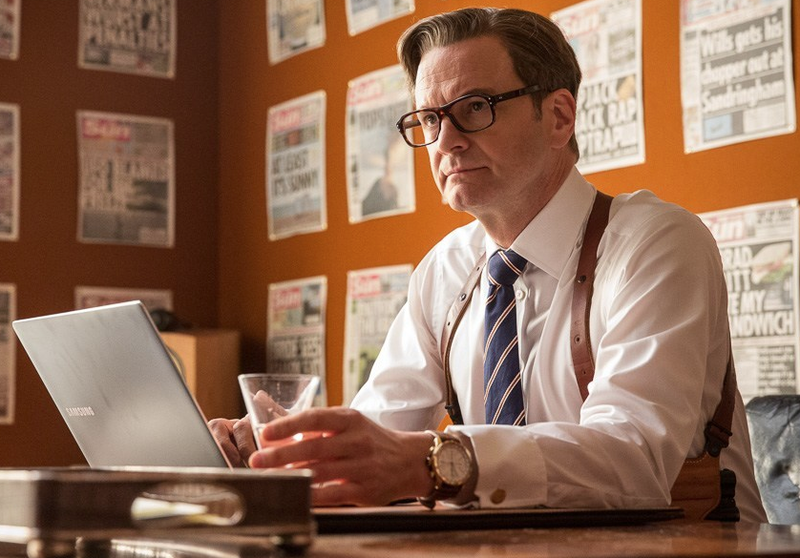 The Kingsman Rose Gold gets some nice coverage in the film and adorns the wrists of Colin Firth, Sir Michael Caine, and Jack Davenport. 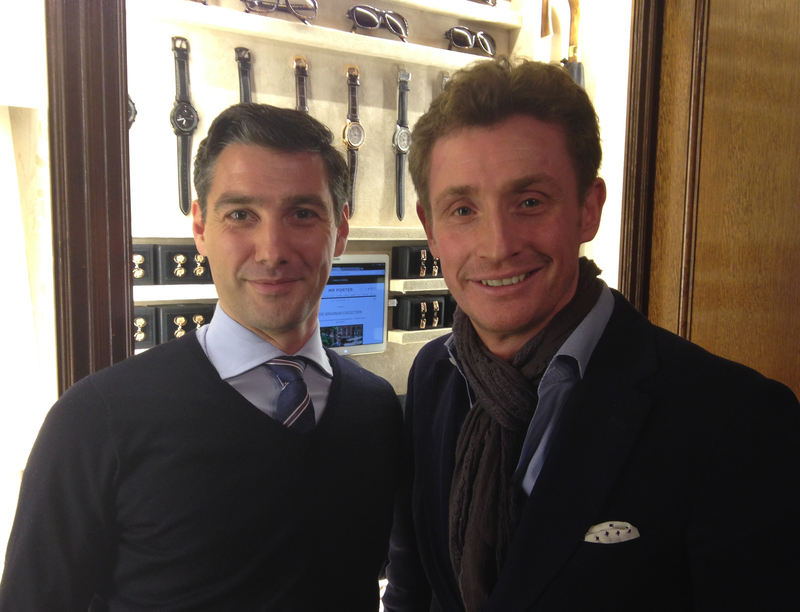 In fact, all Kingsmen wear them, which includes Bremont co-founder Nick English, who makes a cameo as one of the Kingsmen in the film. Whilst the Kingsman Special Editions are currently exclusive to Mr. Porter’s Kingsman Collection, they will eventually be available online and at the Bremont boutiques. 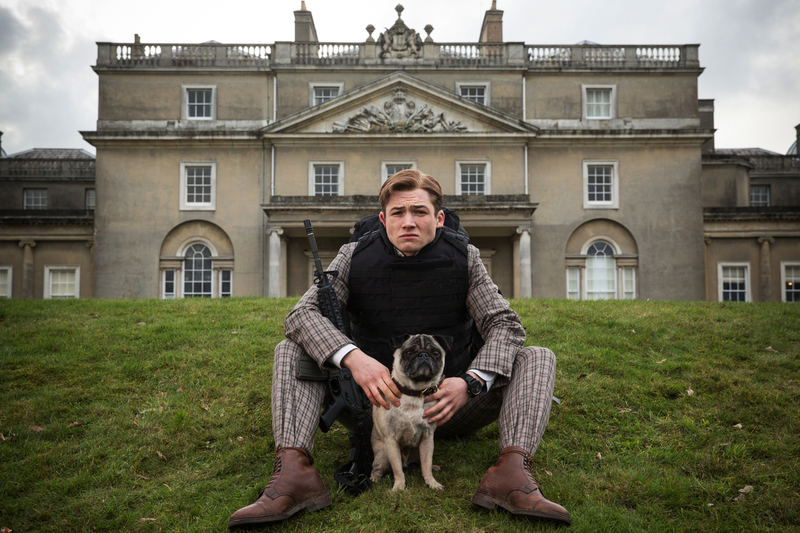 Although they may not come with the additional gadgetry featured in the film, each of the Kingsman Special Editions would make a fine addition to any secret agent’s collection.